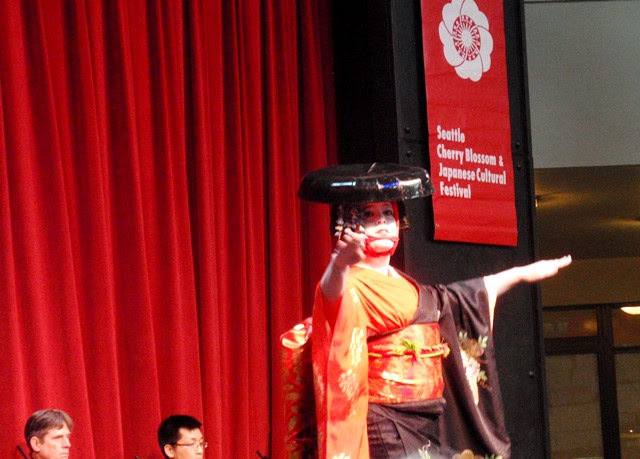 Seattle's 41st Annual Cherry Blossom & Japanese Cultural Festival took place April 22nd through 24th at Seattle Center. 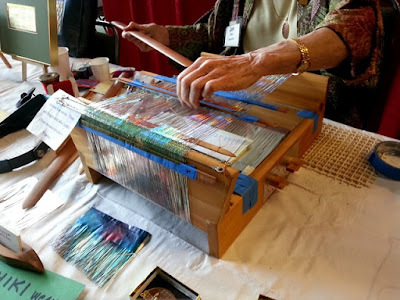 The festival features live music and dance performances, arts and crafts workshops, tea ceremony and martial arts demonstrations, and delicious food and drink to enjoy throughout each day. I attended the final day of the festival. Kyoko Matsuda teaches Omotesenke-ryu tea ceremony with Chanoyu Seattle. 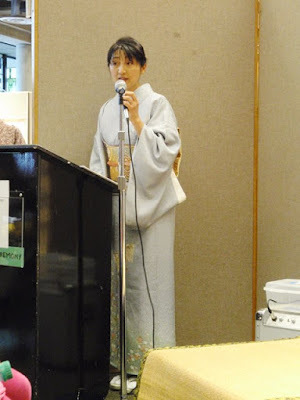 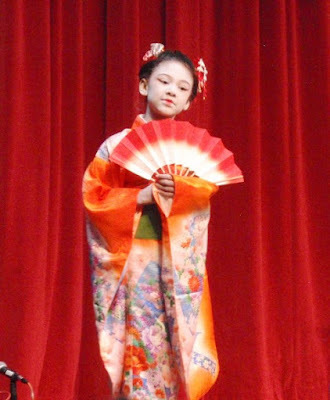 She provided narration for the Omotesenke tea ceremony demonstration, explaining the tea room layout, greetings and movements (temai), history of tea and tea ceremony in Japan, and other unique facts. The host (Teishu) was Yukari Sasaki and the guest (Kyaku/Shokyaku) was Emiko Lin. 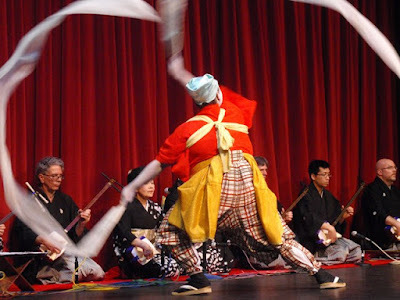 The scroll reads "wakei seijaku" which translates to harmony, respect, purity, and tranquility. 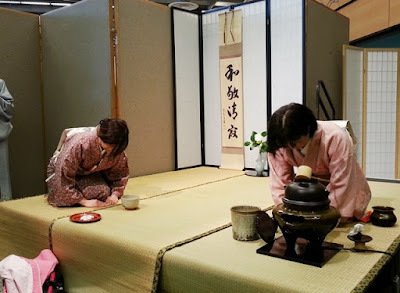 Omotesenke is one of the three largest schools of tea ceremony in Japan and is considered the most wabi (austere and Zen-like). 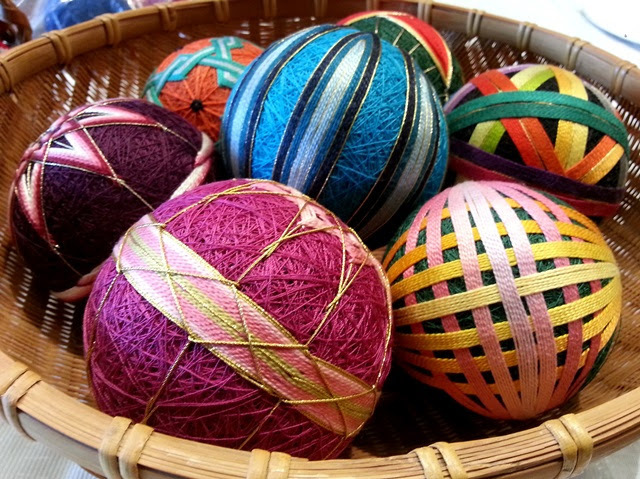 The silk cloth (fukusa) used by the teishu can have a variety of colors. 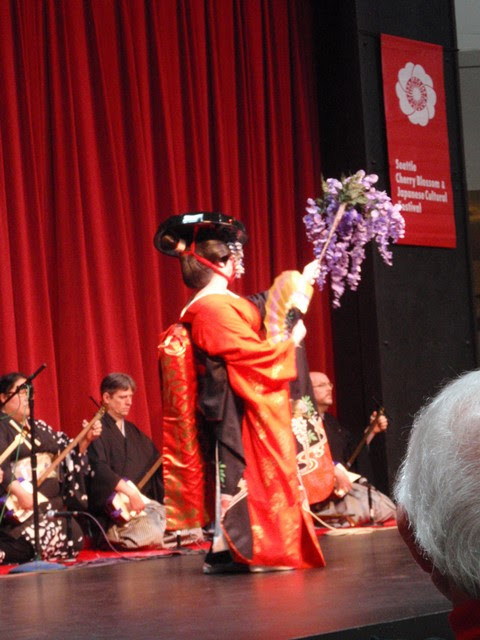 In Omotesenke, the women's fukusa will be orange and the men's fukusa will be deep purple. 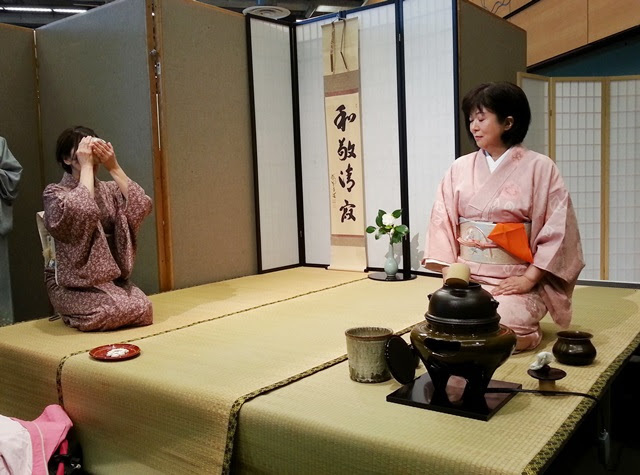 Chanoyu (tea ceremony) literally means "hot tea for water". Tea leaves for matcha used in tea ceremony are generally harvested on the 88th day after the Lunar New Year (hachijyuhachiya), stored in a jar, then ground into matcha. 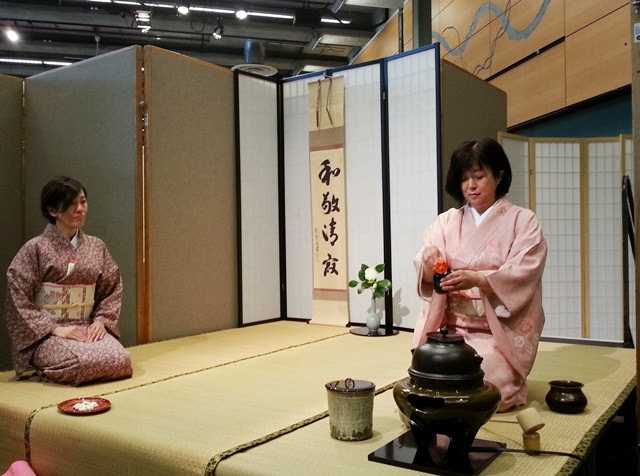 A full tea gathering (chaji) will include usucha (thin tea), koicha (thick tea), and a meal and is three to four hours long. 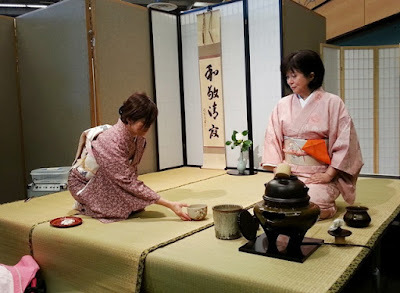 In the tea room, the guest can focus on the beauty of the experience through individual objects, the sound of water in the kettle and in the tea bowl, the smell of the tea, the texture of the implements, and the taste of the tea and sweets. 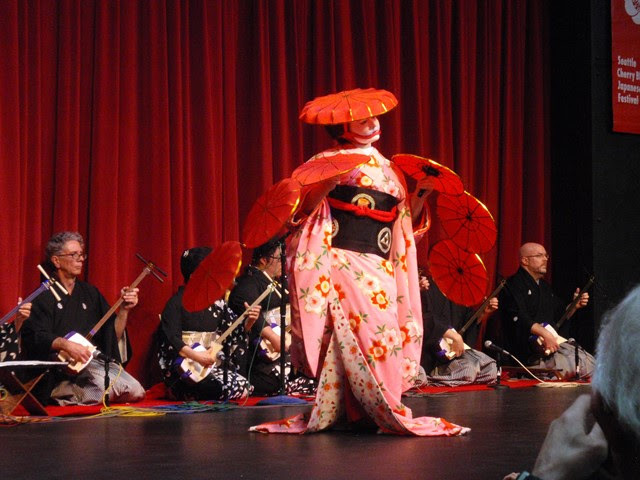 Kabuki Academy perfomed traditional and Kabuki-style dances as well as shamisen music which included the theme to My Neighbor Totoro and a Star Wars medley. 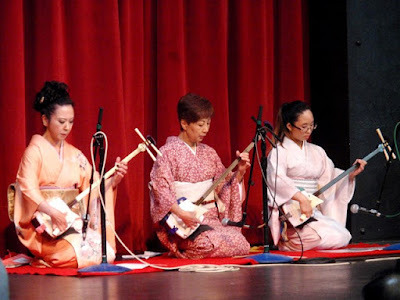 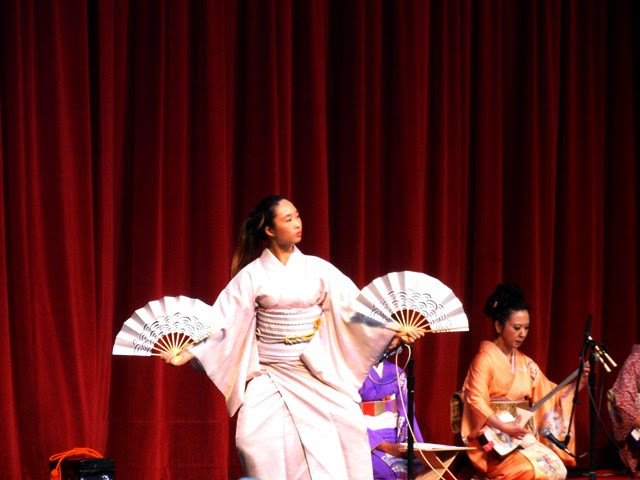 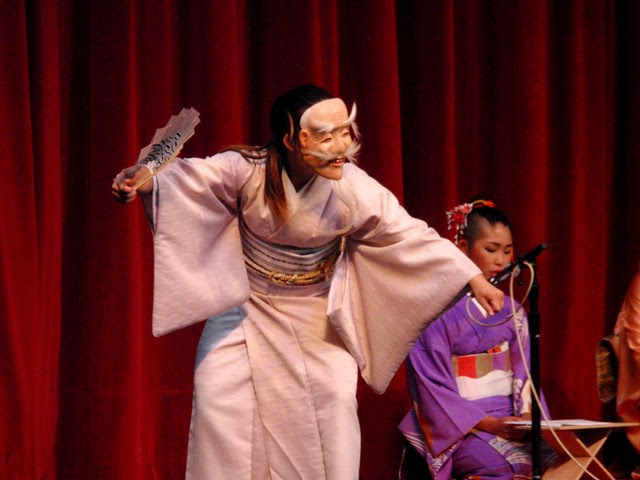 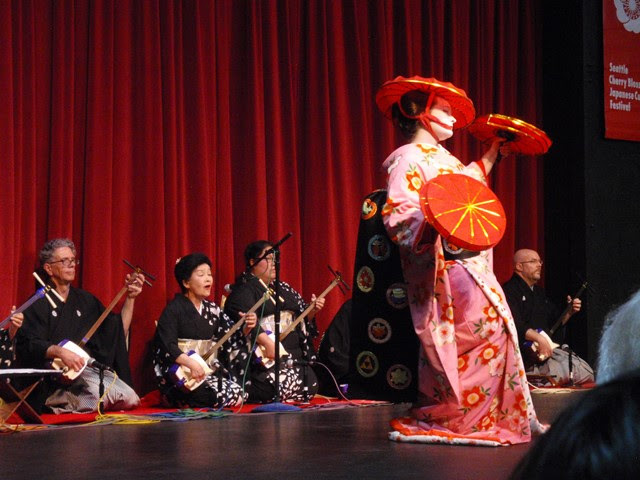 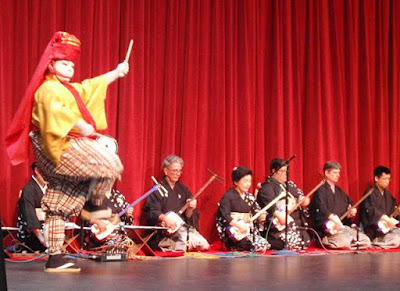 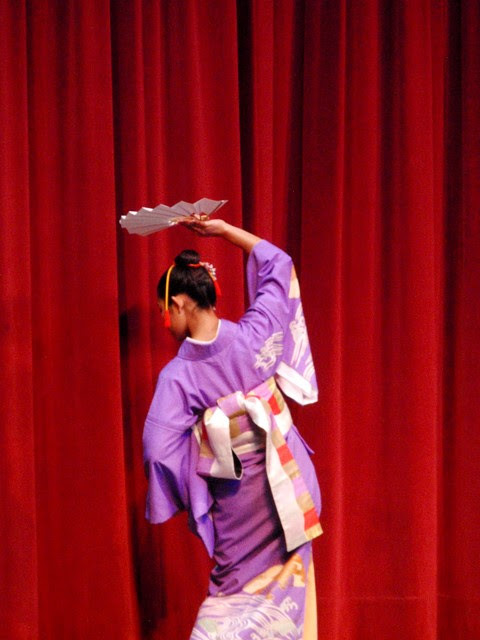 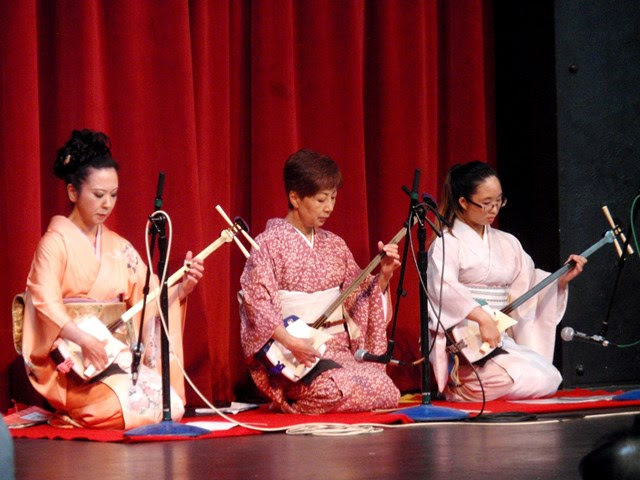 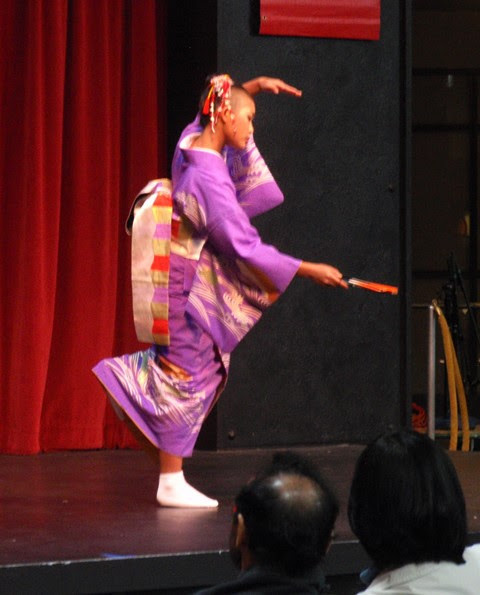 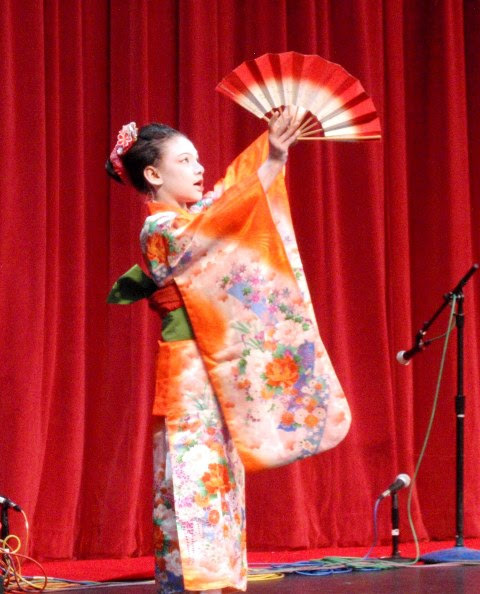 The final performance of the festival was traditional dance and shamisen by Fujima.